← Le belle scuole dell’Alto Adige. and not just in the lab. The gap between official and real-world performance has increased to 40% on average in 2014 and is so wide in many car models that it cannot be explained through known factors including test manipulations. Not only Volkswagen? And not only NOx; let’s talk about CO2. 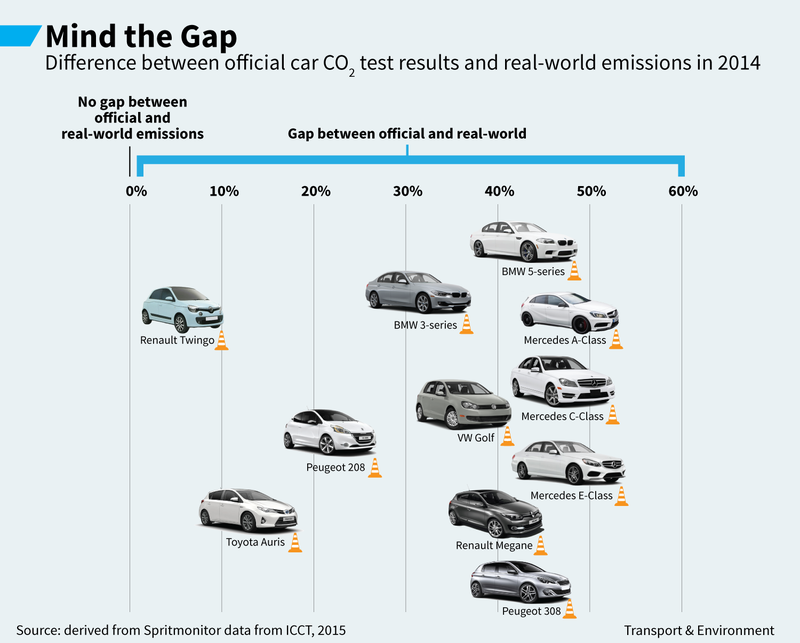 The system of testing cars to measure fuel economy and CO2 emissions is utterly discredited. The Mind the gap 2015 report published by the International Council on Clean Transportation (ICCT) analyses the gap between test results and real-world performance and finds that it has become a chasm, increasing from 8% in 2001 to 31% in 2012 and 40% in 2014. Without action this gap will grow to nearly 50% by 2020. New cars, including the Mercedes A, C and E class, BMW 5 series and Peugeot 308, are now swallowing around 50% more fuel than their lab test results, new on-the-road results compiled by reveal. While this does not constitute proof of ‘defeat devices’ being used to fiddle fuel economy tests, similar to that used by Volkswagen, EU governments must extend probes into defeat devices to CO2 tests and petrol cars too. Learn more in this thought-provoking article on Transport & Environment. The distorted laboratory tests are costing a typical motorist €450 a year in additional fuel costs compared to what carmakers’ marketing materials claim, the report finds. But the car manufacturers are continuing to try to delay the introduction of a new test (WLTP) to be introduced in 2017. Cars are responsible for 15% of Europe’s total CO2 emissions and are the single largest source of emissions in the transport sector. The EU’s first obligatory rules on carbon emissions require car manufacturers to limit their average car to a maximum of 130 grams of CO2 per km by 2015, and 95g by 2021. And what if the same situation would actually occurr on our buildings? I mean, above all those already certified under one of the several energy efficiency protocols available in Europe. Are these buildings really performing in compliance to the levels for which they have been designed and built? Moreover, is there someone really monitoring those operational performances? The automotive sector has been always decades forward, compared to the building industry, in terms of quality of the process, level of performances, research and development, investments, accuracy of testing (not in this case …), customers satisfaction, marketing, advertising … whatever. And it has been far ahead in manipulating the results, it seems. What if now the building sector would take its place on the arena as the first industrial sector to show honestly its results and put in place a virtuous process of continuous improvement (energy performances, environmental impact, customer care, …, health)?? Other related posts: Name that sin! 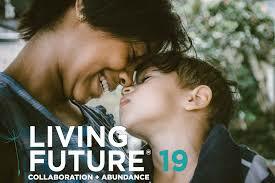 Questa voce è stata pubblicata in Companies, Green Building, Green Communities, Market, Policy, Standards, Sustainability, Technology, Transportation e contrassegnata con CO2 emissions, europe 2020, health, mobilità sostenibile, wellbeing. Contrassegna il permalink.